How do you design a chair that is different from any other? 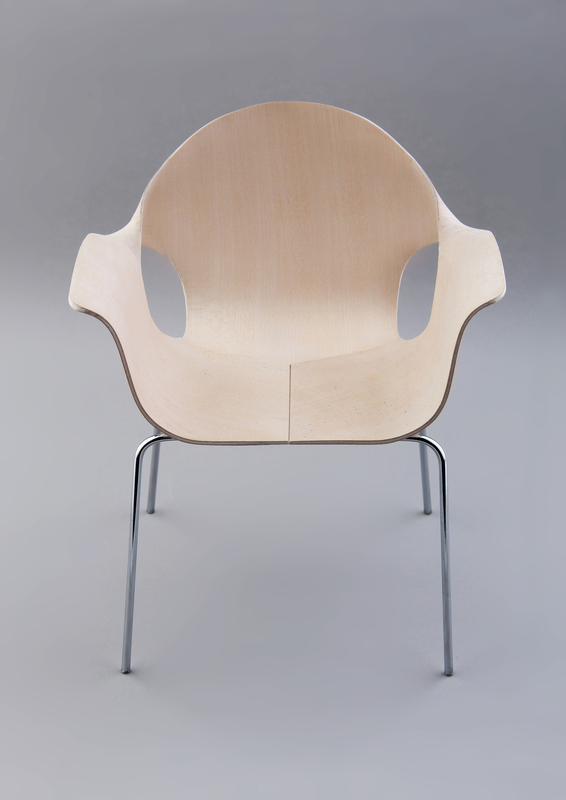 This chair is unique: all other chairs have a front and a back, but this one has only one surface, that flows from the front through to the back to form one continuous surface, because of the twist. A fresh design for an everyday piece of furniture has an intriguing effect on our everyday intuition. Over the past six years Tony O’ Neill’s work has been revolutionised by computers; the Twist Chair is one example. Other examples include the Puzzle Coffee Table, that switches surfaces and led to the Slimline folding chair.